The staff was very accommodating and helpful and kind. Hotel was at good location. Very close to silema ferries and hop off hop on spots. Walking to silema shopping street. Lively location. Only wifi was not available in the room but only at ground floor. * Microwave and fridge in the room. * Staff at reception was helped me find a shop to buy postal stamps on Sunday (when most shops are closed). * Wi-fi in the room magically started working from time to time (though I did not pay for it). The staff was excellent and it was a super nice place to stay. Location convenient for ferry and buses. Cleaning staff very friendly. Mostly clean facilities. The rooms were basic, but clean. The shower was messy and flooded the floor every time it was used. Very friendly personal, every day cleaning the rooms. Good, friendly and service-minded staff. 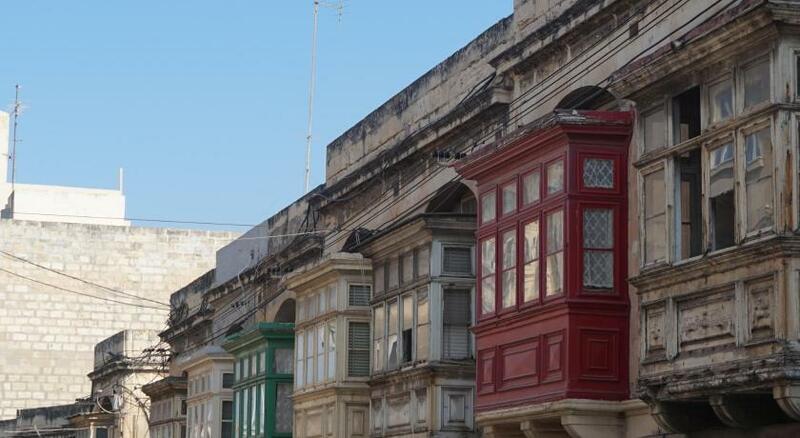 Good price and location in beautiful Sliema. Room was nice size. Enough wardrobe space for clothes. 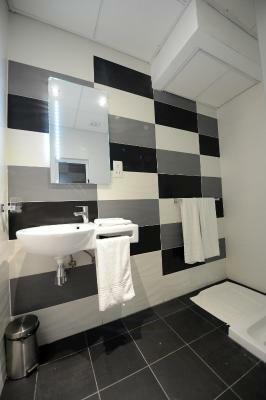 Shower room adequate. Staff helpful and courteous. Breakfast was good. Pool was good. 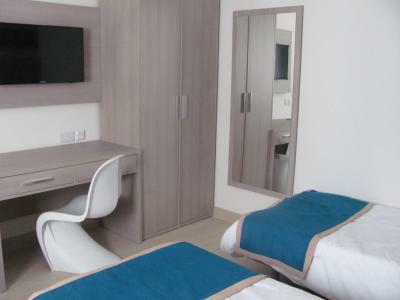 Day's Inn Hotel and Residence This rating is a reflection of how the property compares to the industry standard when it comes to price, facilities and services available. It's based on a self-evaluation by the property. Use this rating to help choose your stay! 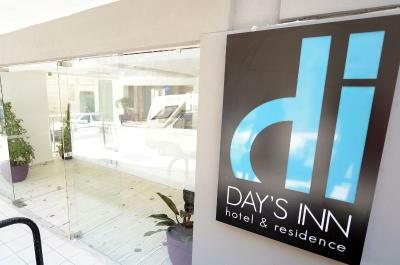 Featuring a rooftop terrace with a small pool, Day’s Inn Hotel offers modern guest rooms in the heart of the buzzing seaside resort of Sliema. 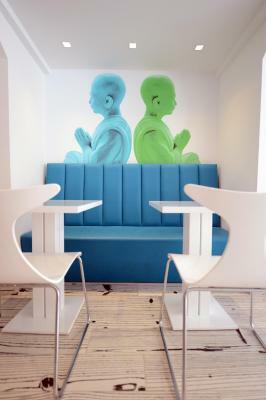 Guests can enjoy the on-site Buddah bar, open daily. 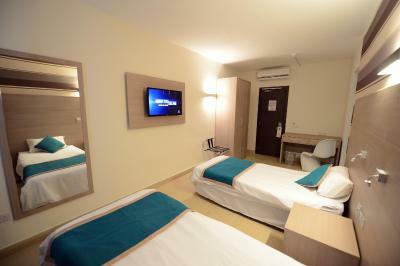 AllYour room is complete with Satellite TV and air conditioning. Some rooms feature a balcony. Free Wi-Fi is available in communal areas. 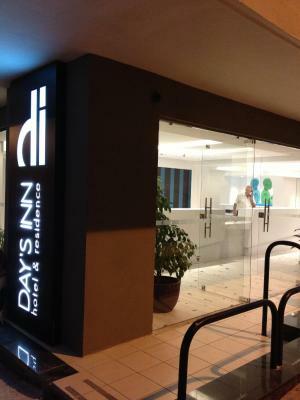 Reception is open 24 hours a day at the Day’s Inn. 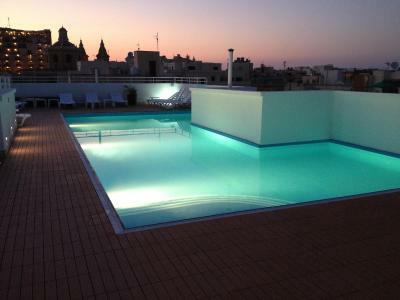 There is a small rooftop swimming pool with sun terrace, open during the summer. 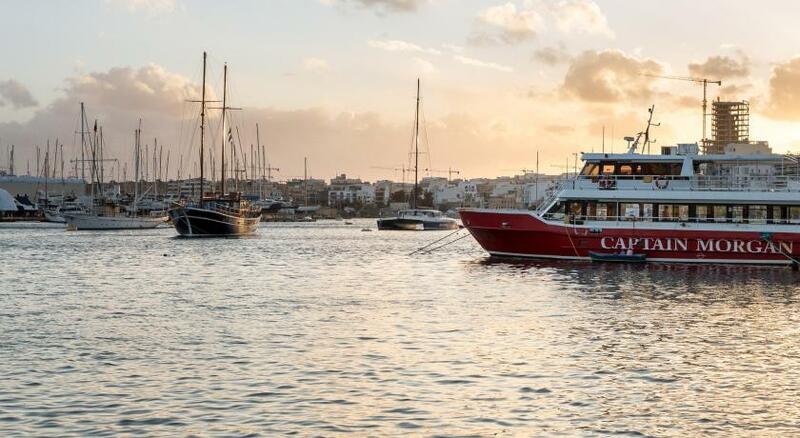 Sliema is connected to St Julian’s and its popular night life by a picturesque promenade, and Valletta, 3.7 mi away, can be reached by a frequent shuttle boat service. 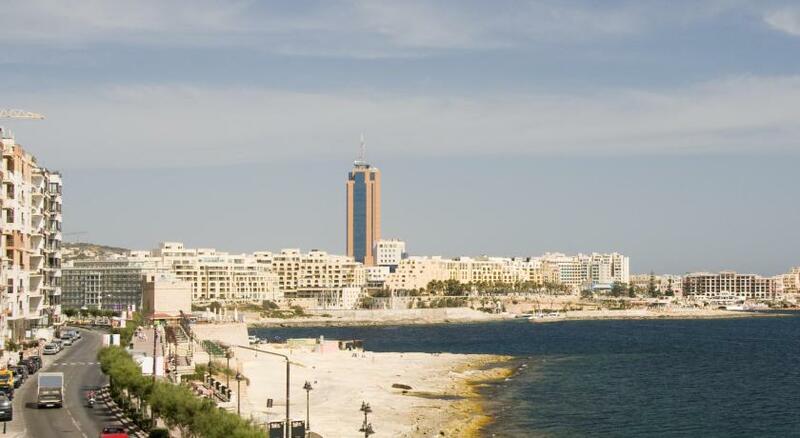 The Tigne Point shopping center is a 10-minute walk away, while Malta Airport is 6.2 mi from the property. When would you like to stay at Day's Inn Hotel and Residence? Features Satellite TV, air conditioning, and a private bathroom. House Rules Day's Inn Hotel and Residence takes special requests – add in the next step! 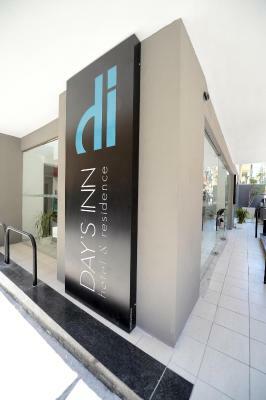 Day&#39;s Inn Hotel and Residence accepts these cards and reserves the right to temporarily hold an amount prior to arrival. 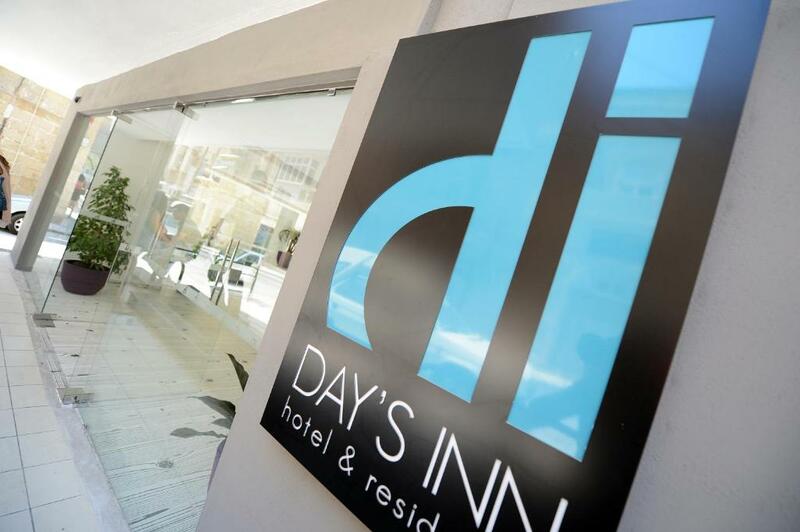 Day's Inn Hotel and Residence accepts these cards and reserves the right to temporarily hold an amount prior to arrival. The price is usually higher than it is expected from of a 3star hotel. 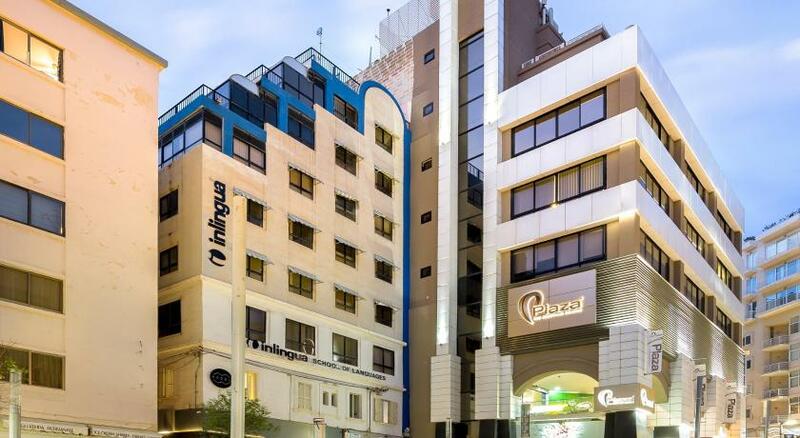 This is a very nice and clean hotel where you can stay and mingle with people (mainly students) from different countries and live in the heart of Sliema. 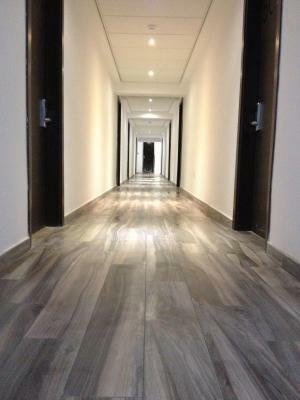 Shops , supermarkets cafes, bars and the marina high street are just a five minutes walk. The staff are very helpful and friendly. Self-catering kitchen and the dining hall on the ground floor are a good opportunity to meet new people and make friends. The breakfast choices were not very good. Breakfast it was small choice and not was fresh. AC did not chill room (november). I wonder what happens in summer. No fridge or a simple kettle in the room. Reception was too hot. Breakfast is very poor - salami, mortadella, cheese and ham, 2 cereals, a bowl with fruit and sandwich only. (Need more choice of ham products and bread, crossants, yoghurt, and some desserts like cakes and muffins for example) Can do much better! !.....I do not think it is worth €77 for 1 night. Far from it !!! Not perfectly cleaned and some stains on towels. There was a small kitchenette in the room, wasn't too keen on the previous inhabitants leaving the smell of curry or similar behind them. My room was on the 5th floor but the cooking scent drifting in from the ground floor kitchen was very strong so had to keep the windows closed. Pool was closed for the season (traveled in the beginning of October). Breakfast selection is not very inspiring at all. All in all a very basic hotel but did the job for the 2 days I was there. 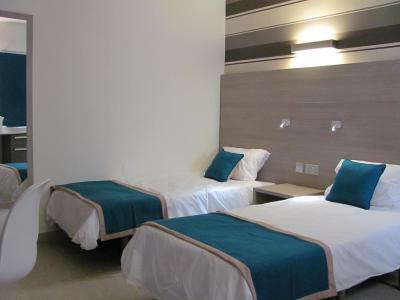 Good location, walking distance from Sliema ferry services and good selection of local restaurants. Hotel's clean, and my room on the 5th floor was pretty quiet. The location is good. Close to all the shops and the boats and the buses. Towels and bedding were not changed when they should have been. Floor was washed with dirty cloth so floor was dirty. Towel rail hadto be fixed. Air conditioner had to be looked at as well. Refreshments at pool area only opened when students used pool. Should have been open every day. Other guests extremely noisey coming in late at night (shouting and slamming doors). The beds were very uncomfortable. 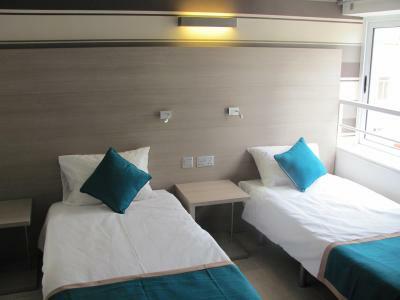 We had 2 twins, maybe the double beds or queens are better? It was dirty, it smelled awful. The walls looked like a Quentin Tarantino movie and the rooms were filled with black moles. Maybe if I was 20 years old and only needed a place to sleep but not today.